Mouse - today a normal computer peripheral, used every day to point different widgets on screen, click buttons or scroll webpages. 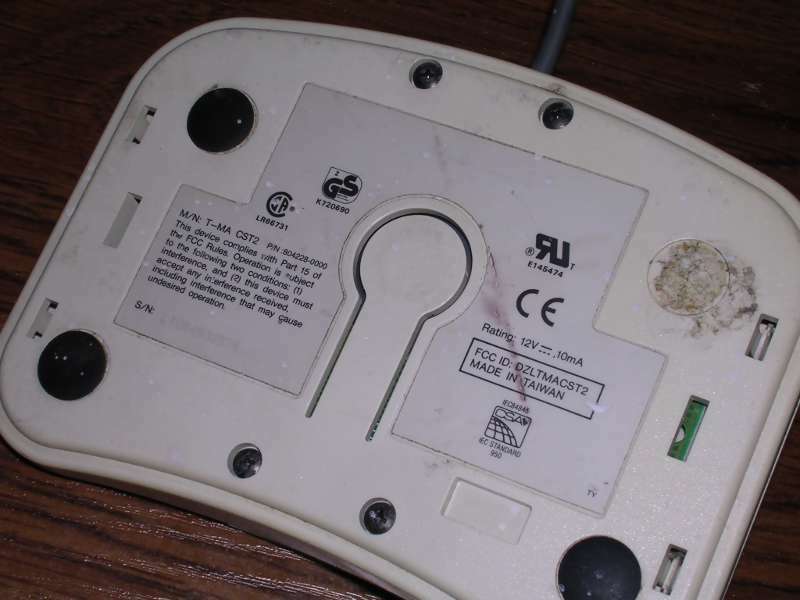 This sub-page shows different mice from different manufacturers and years. 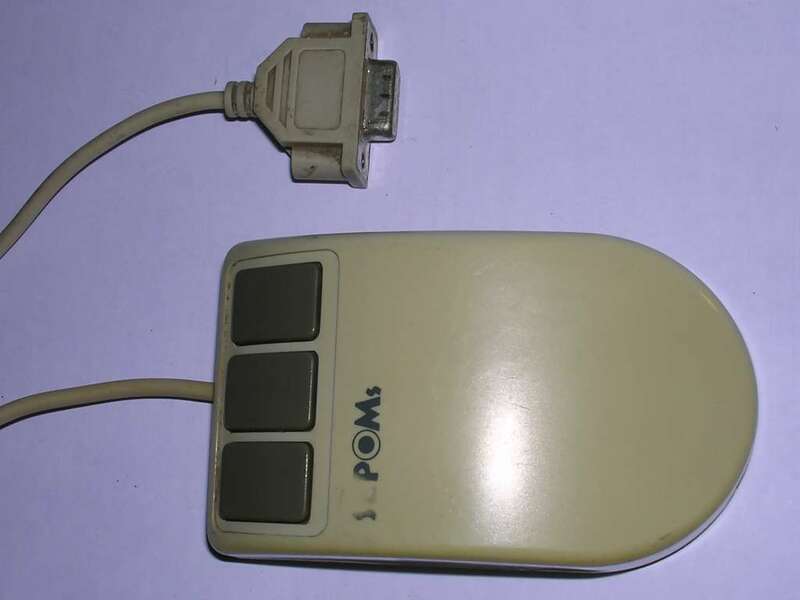 You can see how a PC mouse evolved and when they got wheels, as well as how the buttons disappeared and re-appeared in mice development. There are 3 common serial port protocols. 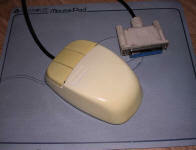 First was Mouse Systems PC Mouse for 3-button mouse. Second - Microsoft Mouse for 2 buttons. 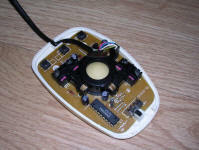 Finally Logitech extended Microsoft's protocol for third button and most "MS Mouse" with 3 buttons use this protocol. 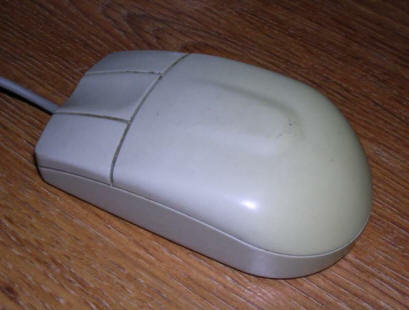 First PCs were usually bought without mice. When Windows software got popular, and when some DOS programs got mouse compatibility, people purchased mice for their PCs. Usually, cheap, Taiwanese mice were bought and for the earlier models, their lifespan is indeed good - many of them work today if only they're cleaned properly. 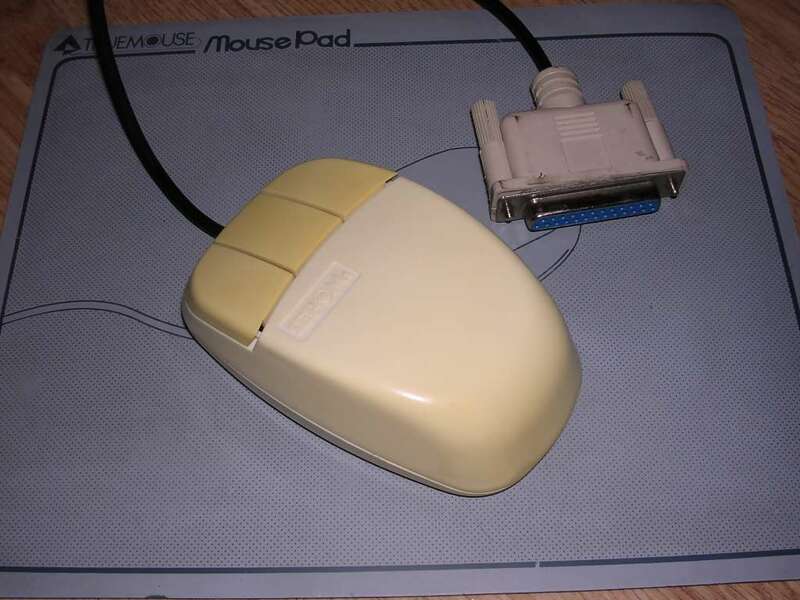 In early days of PC computing, there was no standard interface for mouse. 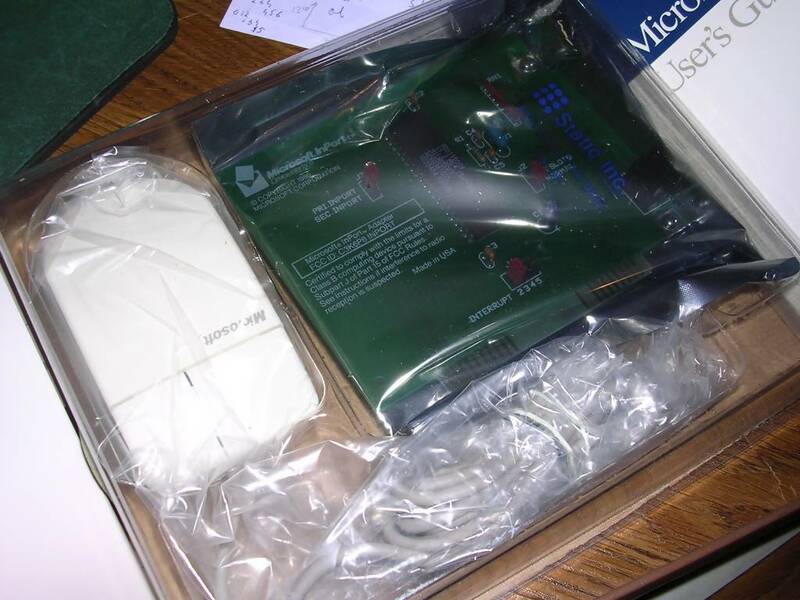 Logitech and Mouse Systems went with serial port (but different protocols). 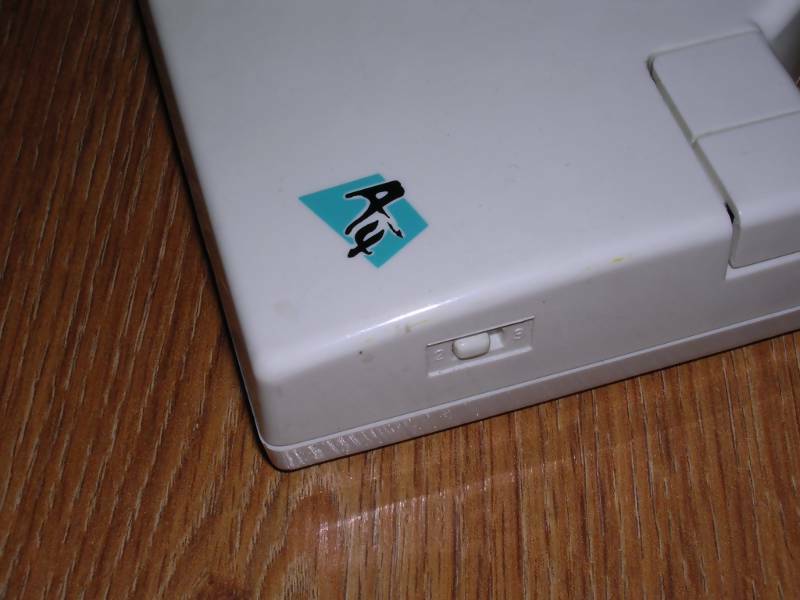 IBM went with keyboard port extension called PS/2. 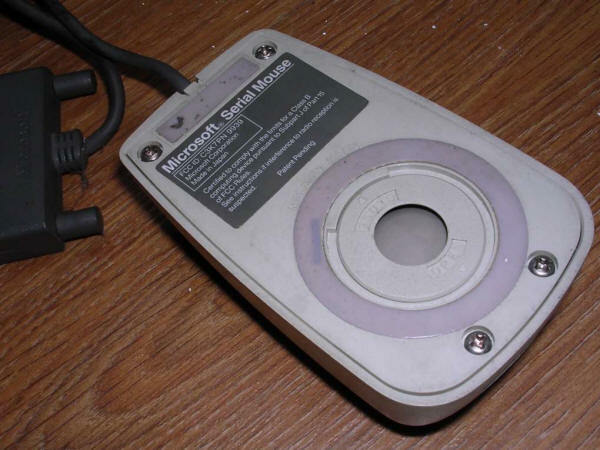 Microsoft went their own way with inPort mouse or Bus Mouse - a mouse which needed ISA board. 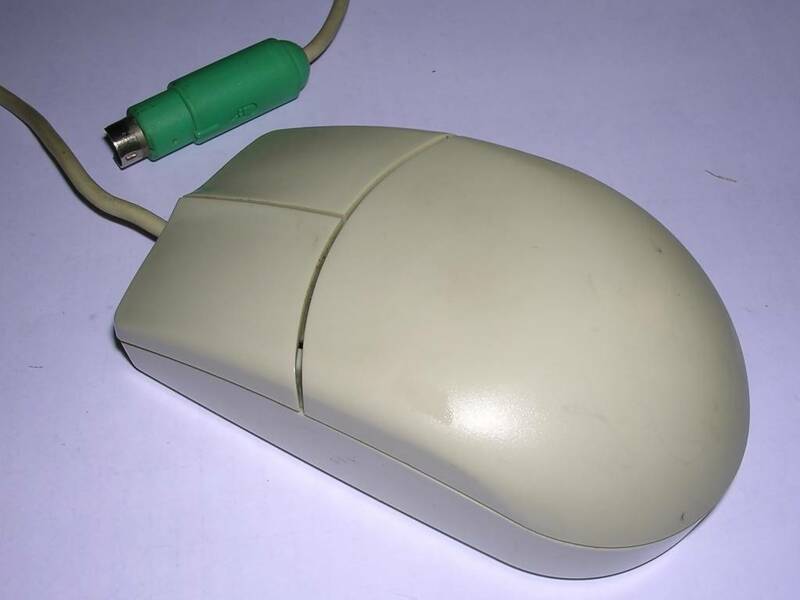 The mouse itself was simple in construction, giving alternating-phase signals at output (like Amiga's one). All decoding was made by ISA board with dedicated microcontroller chip and not much more. This was another typical example of vendor lock-in attempt. 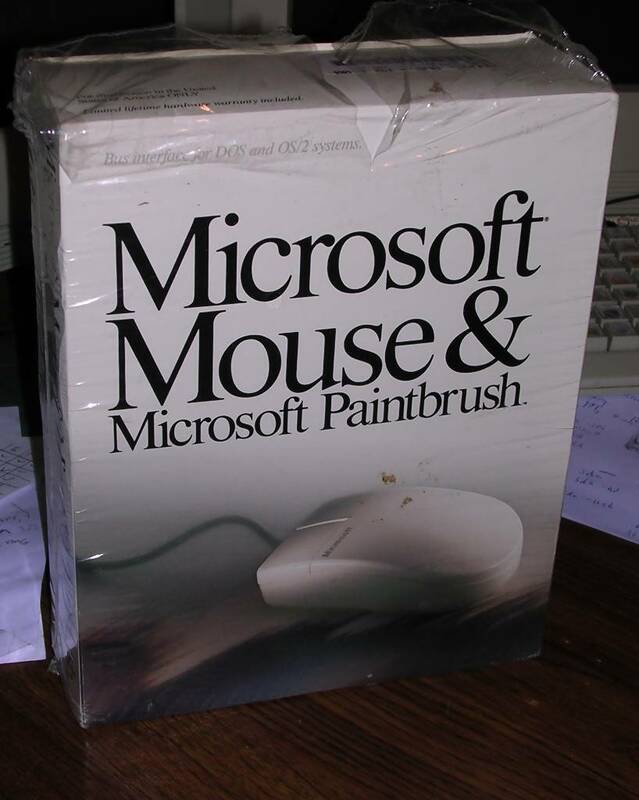 This mouse started another tradition: Adding graphics software to mouse packages. 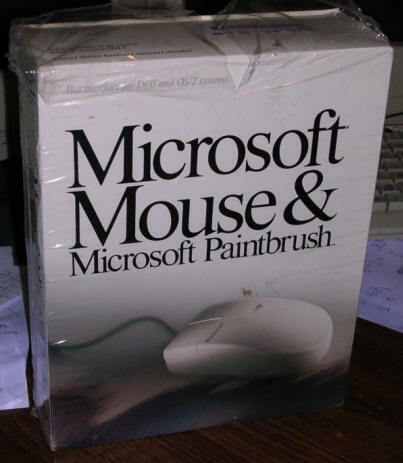 Microsoft added their Paintbrush program, other gave e.g. Rainbow Paint. 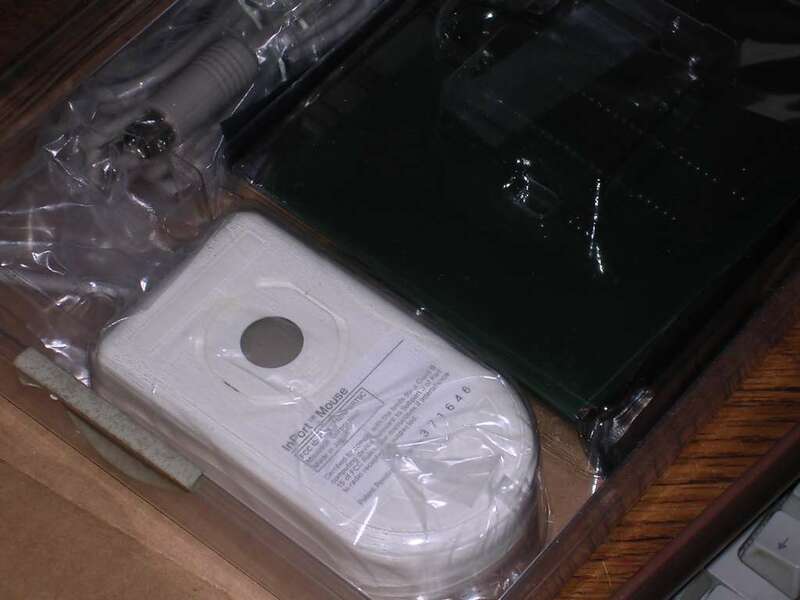 My unit is in a brand-new condition - it is in a box, all envelopes are sealed, manuals are present, even disks are in a sealed envelope with license. I opened foil only to check is everything inside. 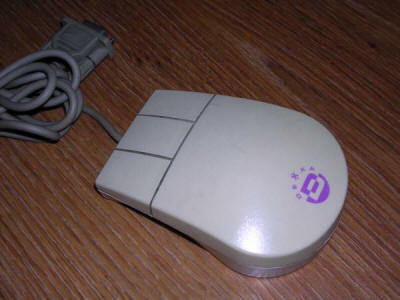 Origins of this mouse starts in early 1980s, when Microsoft designed serial port mice for Xerox. 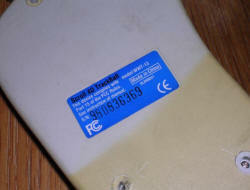 In 1985 they made a PC version, but there is a confusion about its versions. 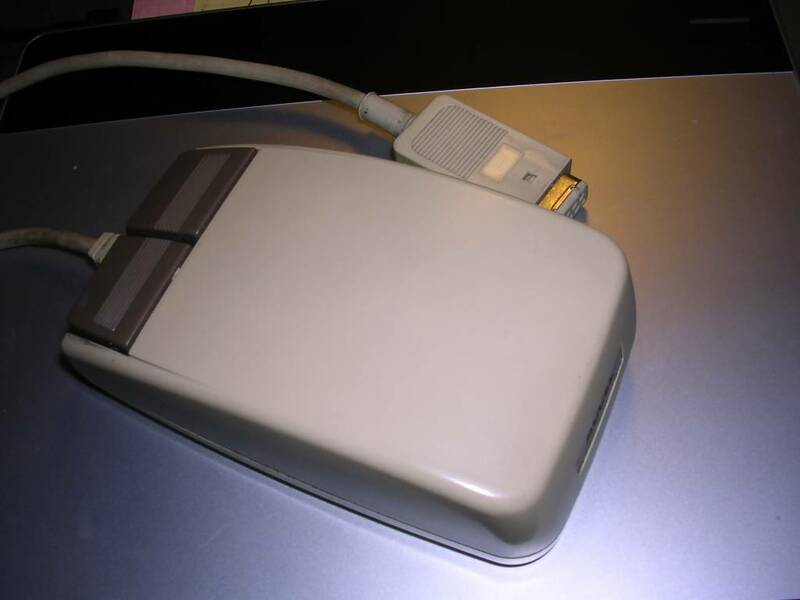 Although it has the old shape similar to ones made for Xerox and later PC, this one must be a bit newer as it has a converter to connect it to 9-pin serial port, and these ports were not massively present in older (first half of 1980s) PCs. Its sliding part is round which makes it move well in all directions, but unfortunately it makes its bottom dirty very quickly - it needs cleaning more frequently. 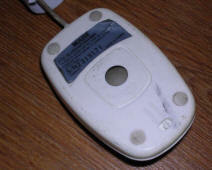 A typical PC mouse, one of many imported from Taiwan. 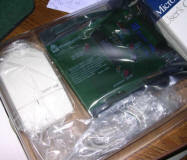 Quality is poor, especially that it was stored in harsh conditions. 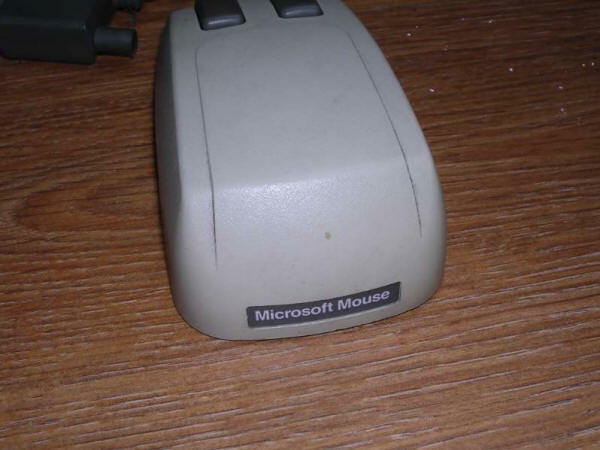 This mouse is compliant with Microsoft/Logitech standard, and 3 buttons seem to be supported with it. 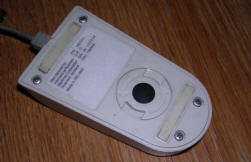 It was sold as QUICK as well with SEPOMs brand, this time with DB9 connector, not 25-pin one. Inside, the ball is kept in place with shafts (this time metallized ones) and small metal wheel on spring. One of my units required fixing broken wire in cable. Although they're old, they still seem to work properly. A Taiwanese clone of Microsoft mouse. Quality is relatively good, but some savings can be seen inside. 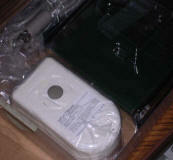 However, the ball is still well placed in "Cage" and optical transceivers are well protected from dust. A chip is comon these times Mitsumi chip. 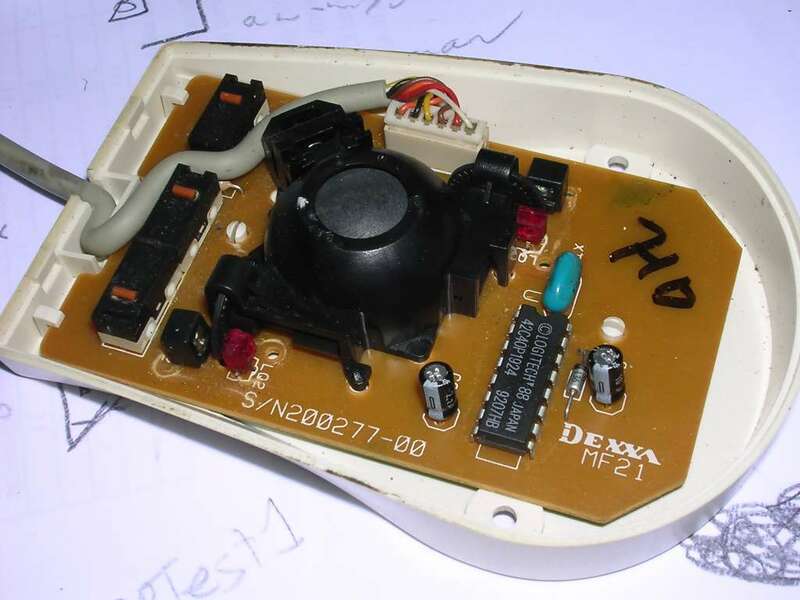 Although buttons are made of the cheapest "tact switches", it is more durable than Genius ones made with dedicated contacts. It is a very simple design as for these times. 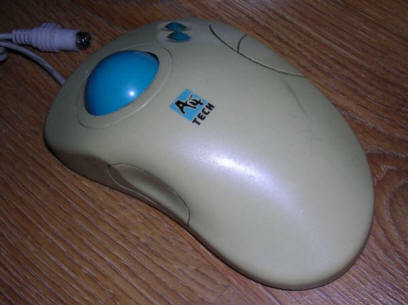 These mice were imported with first XT PCs in late 80s. 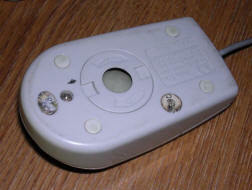 While being cheaper than original Logitech, Moue Systems or Microsoft ones, they still worked well. 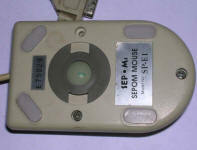 Information: As above, a typical Taiwanese mouse sold with PC clones. 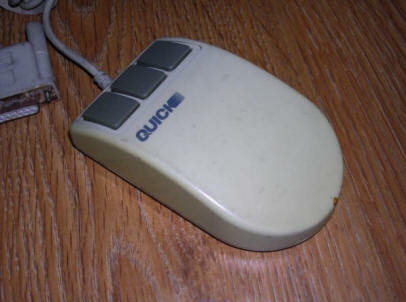 This one has a switch between Microsoft and Mouse Systems (PC Mouse) protocol, if software needs different standard. 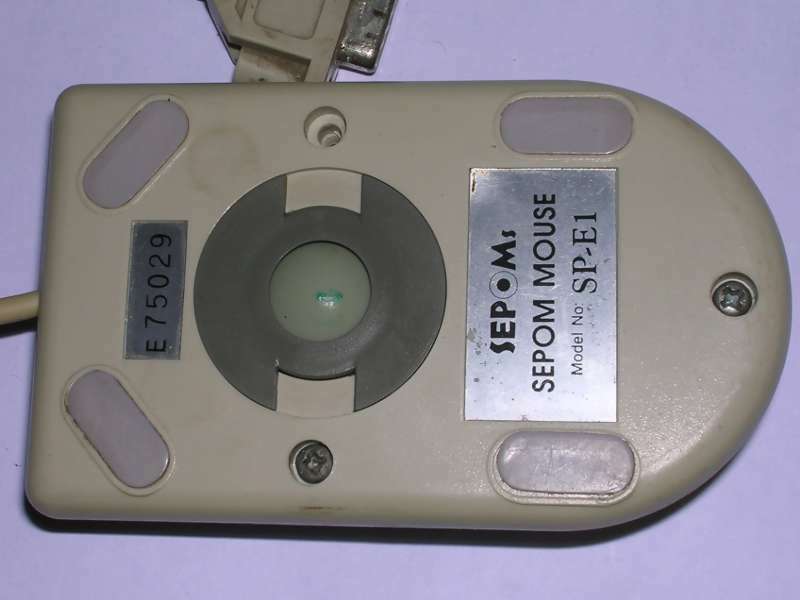 The same mouse has been sold under SEPOM brand. 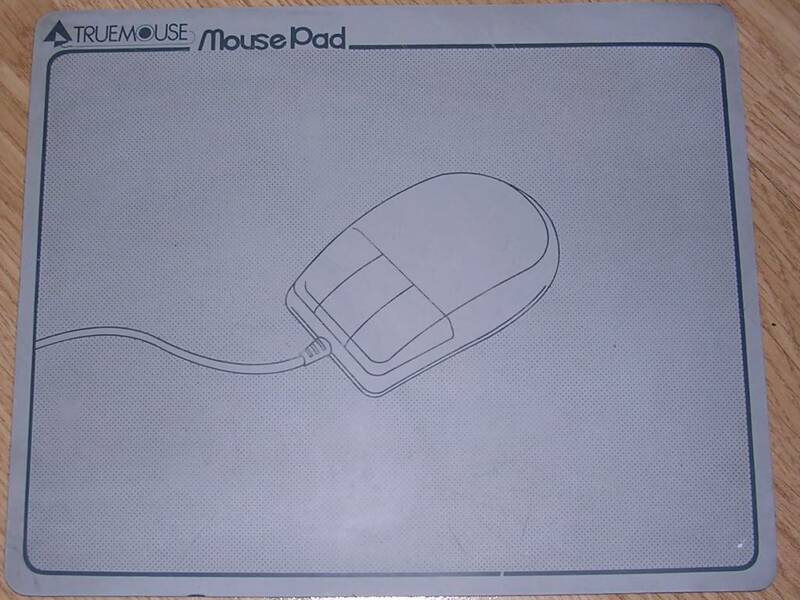 Below, you can see this mouse with an original mouse pad. 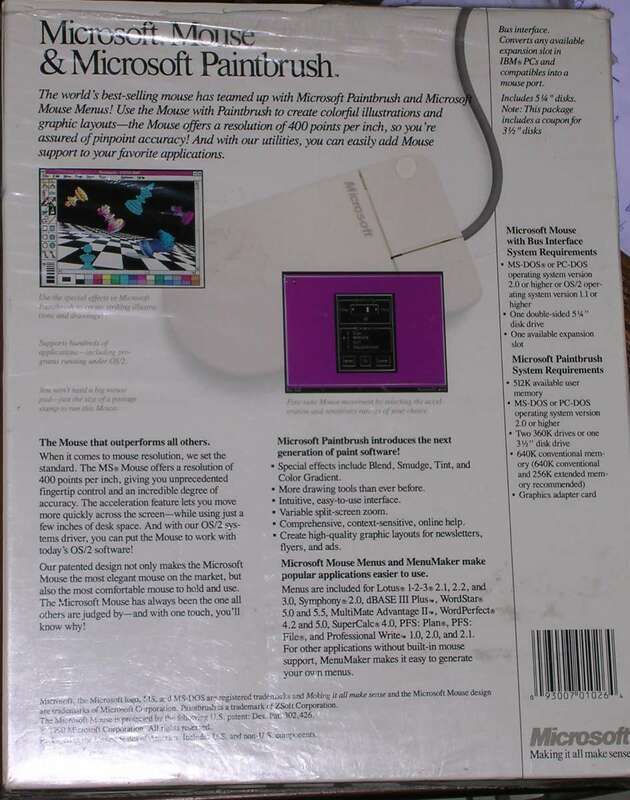 The disk I found with it (supplied too) was newer, from 1993, while the mouse was purchased around 1992. 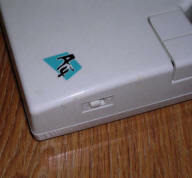 The disk is newer, it's from 1993. Metadata suggests that it was tampered with, the network driver was added in 1996. The disk is a typical "generic" mouse driver disk, good for every serial port mouse. 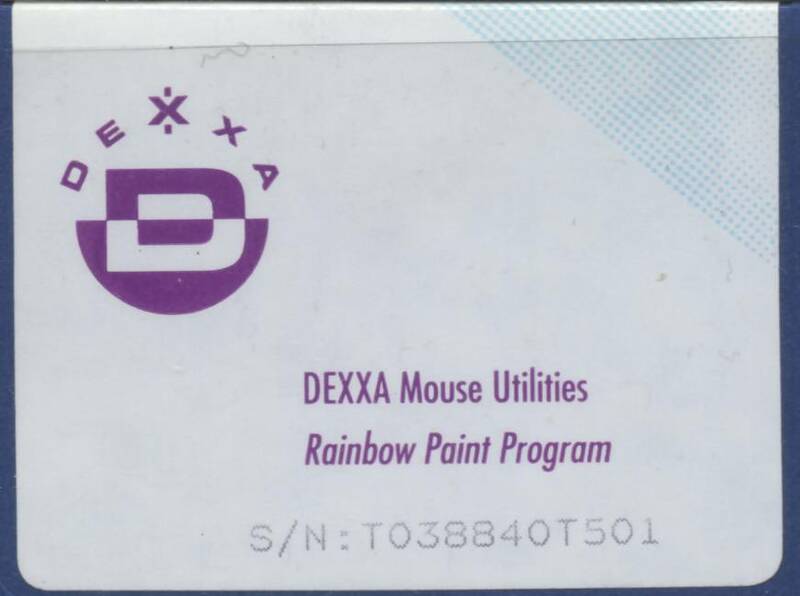 Dexxa was a company which made many products on licenses. 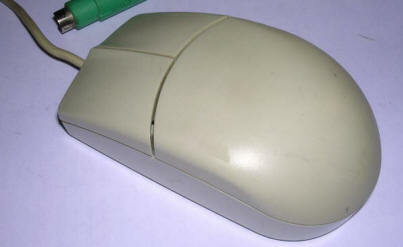 The M31 has a Logitech logo underneath, so it was probably made on license and sold under Dexxa brand. It has 3 buttons with quite poor contacts, ball made only of plastic (very light and with not so good accuracy) and serial port connection. It operates in MS Mouse / Logitech standard. This mouse was quite cheap and came with a mouse pad, so it was frequently imported with PC clones successfully pretending a high-end machine. On the disk, there is of course a Paintbrush program too. Not much to say here, this was a typical IBM mouse supplied with PS/2 and some PS/1 computers until it was replaced by later, round model. 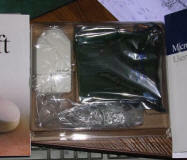 It was not so accurate, maybe because its ball had no weight - it was made only of plastic. In 1990s more and more experimental devices hit the market, trackballs were one of these. 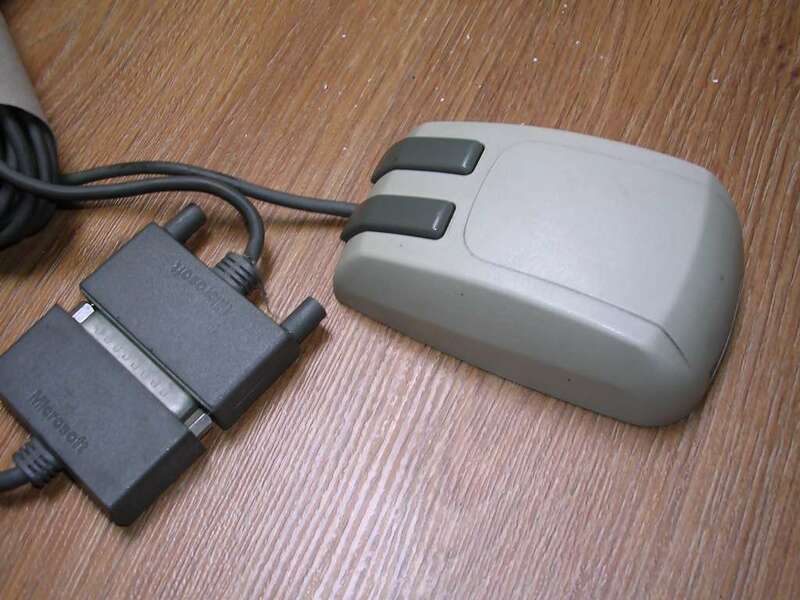 Although they never got significant popularity, there is still a group of trackball users around. A good thing is that it requires less space than mouse and is quite comfortable. Unfortunately there is a bad thing: You constantly touch the ball so it becomes dirty very quickly - frequent cleaning is a must-go. 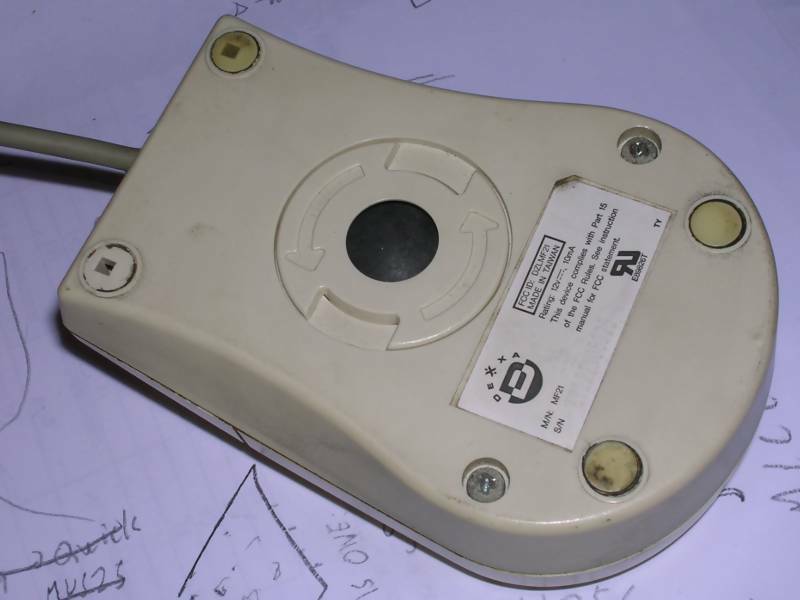 This unit was extensively in use, but it still operates after cleaning its internals. There are two buttons on sides made with typical switches. It is detected by PC as a typical Logitech-standard mouse. 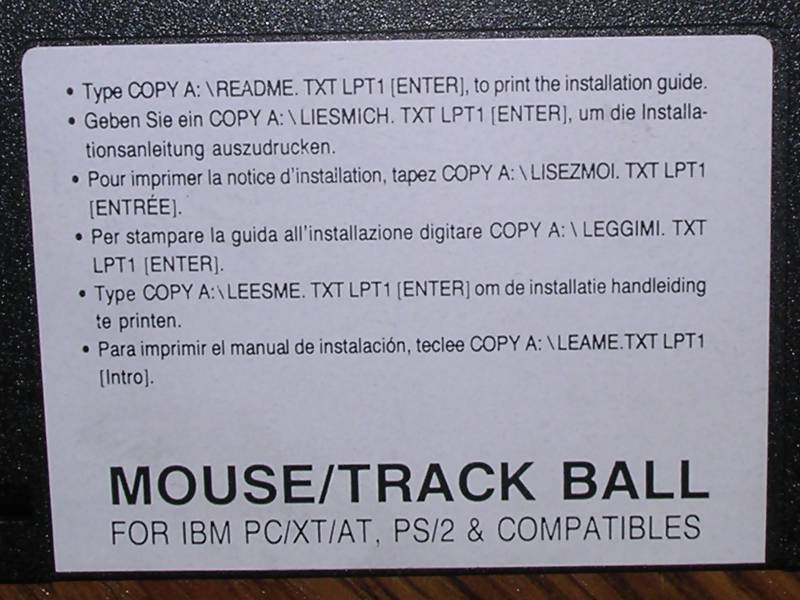 Release of these trackballs made other companies release other trackball-type controls. Below you can see A4tech's response to this unit. Made by A4Tech, WT-5P was one of the first A4Tech's trackballs. 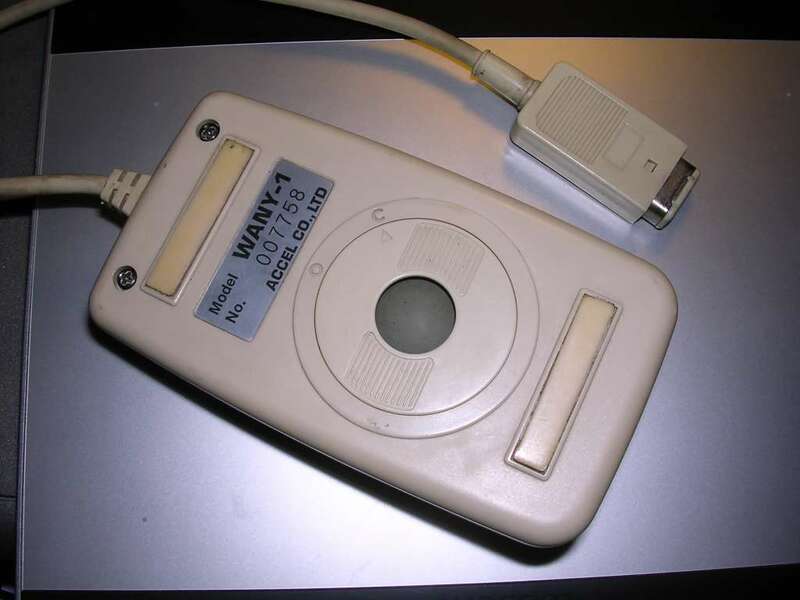 It was marketed under the name "WinTrack". 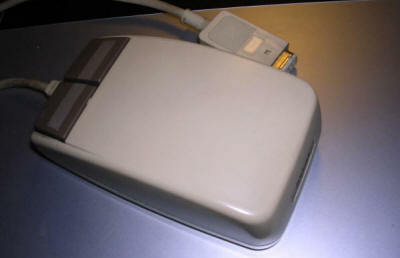 The left button is larger, available by thumb while middle and right buttons are smaller, so the palm rests on the pad without moving to look for buttons. 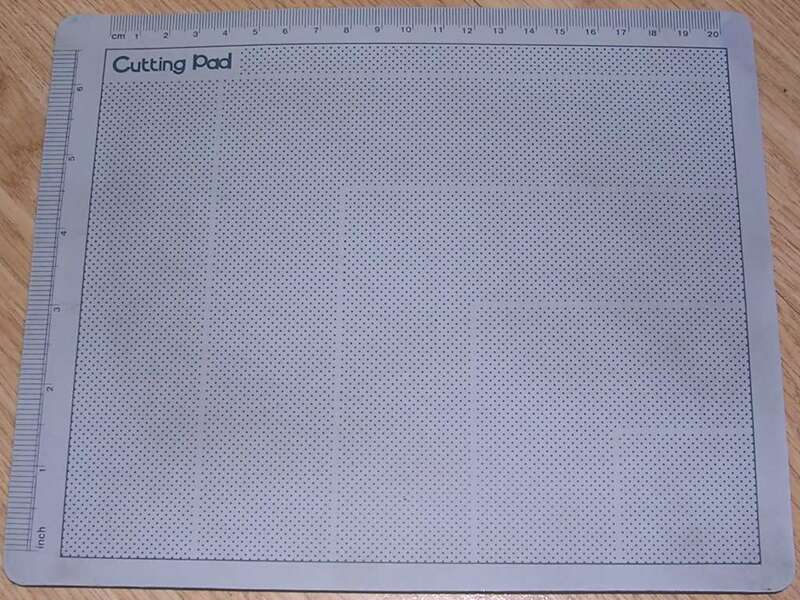 However, rectangular form and 90-degree edges don't make it very comfortable and user gets tired easily. Sometimes putting hand on a large button makes is partially pressed which decreases contact's lifetime. In my unit I had to replace it. 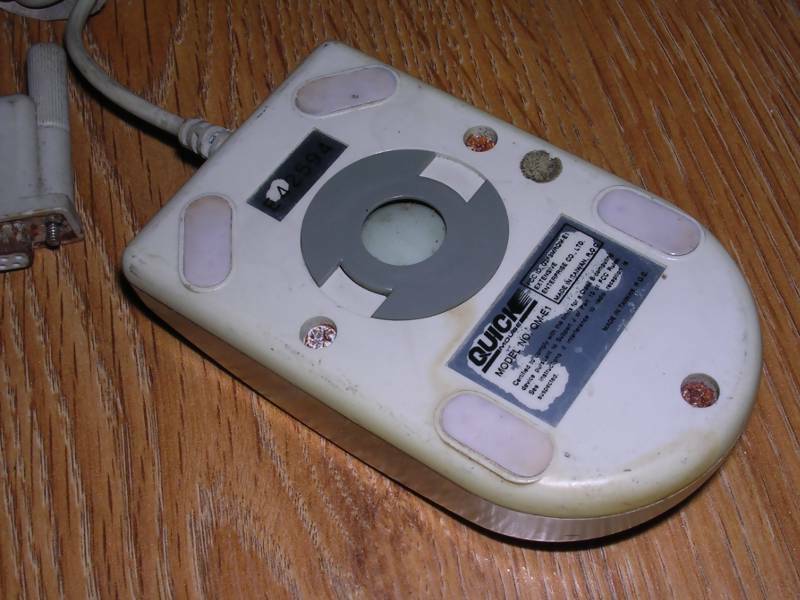 On the good side, this trackball can emulate both Mouse Systems and Microsoft/Logitech mouse. 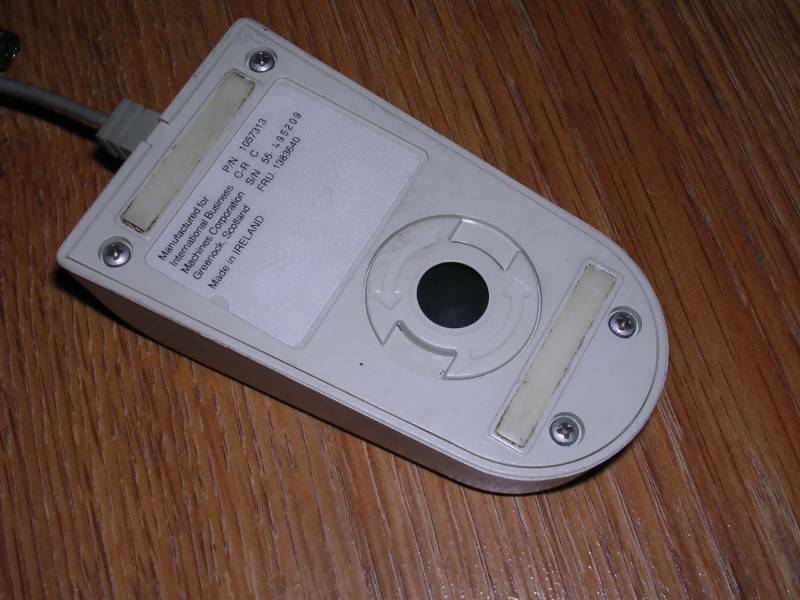 Changing standards is made as in many mice - using a small switch on the side of casing. 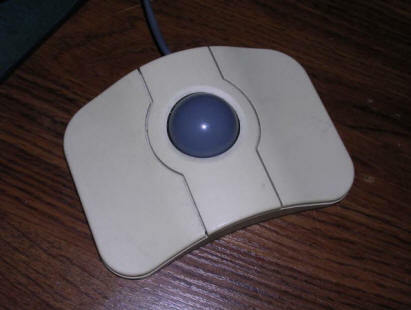 I have succesfully used this trackball with HP 200LX portable computer. 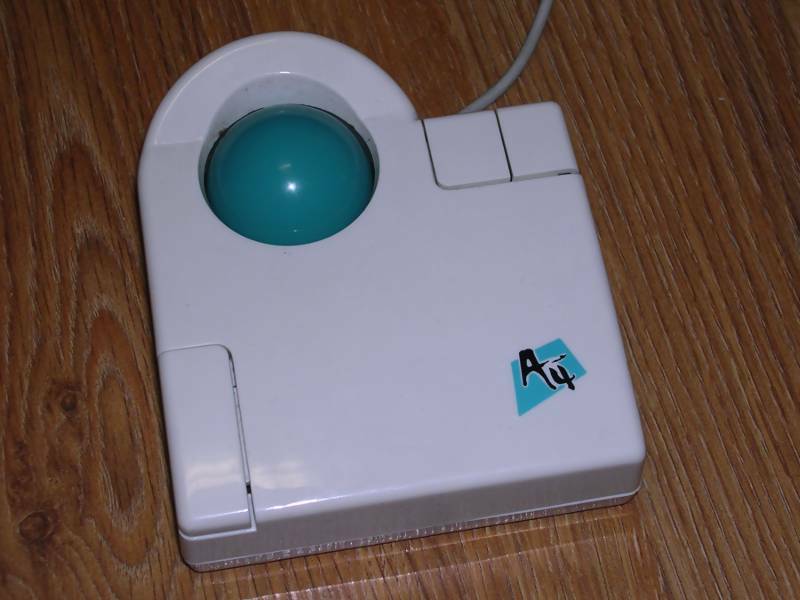 Previous A4Tech's trackball was large and had some rough edges. Here is a later model with ergonomy in mind. Palm rests well on it, and all buttons (and ball) are accessible. 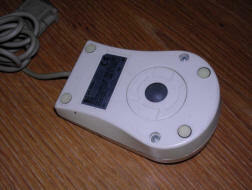 Between ball and middle/left buttons there are 2 smooth-spinning scrolling wheels. The trackball is connected by PS/2 port. The biggest problem with this model is its cleaning method. 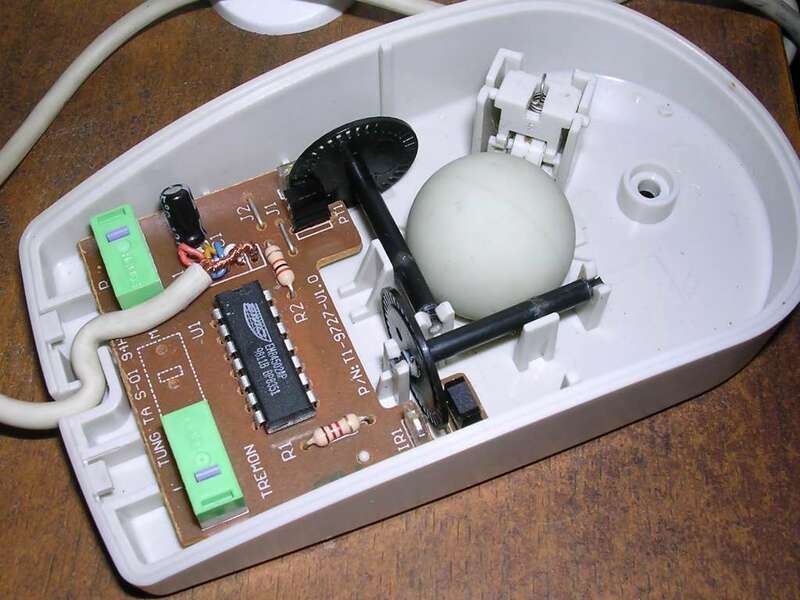 Usually trackballs were designed to be as easy to clean as possible, so to remove ball it was needed only to turn it upside down and push some lever. Here it is needed to unlock the ring. Many beginners don't distinguish horizontal and vertical scroll wheels too. On the other side, I've used it for some time and it is more efficient than mouse in all tasks in which accuracy is not critical. 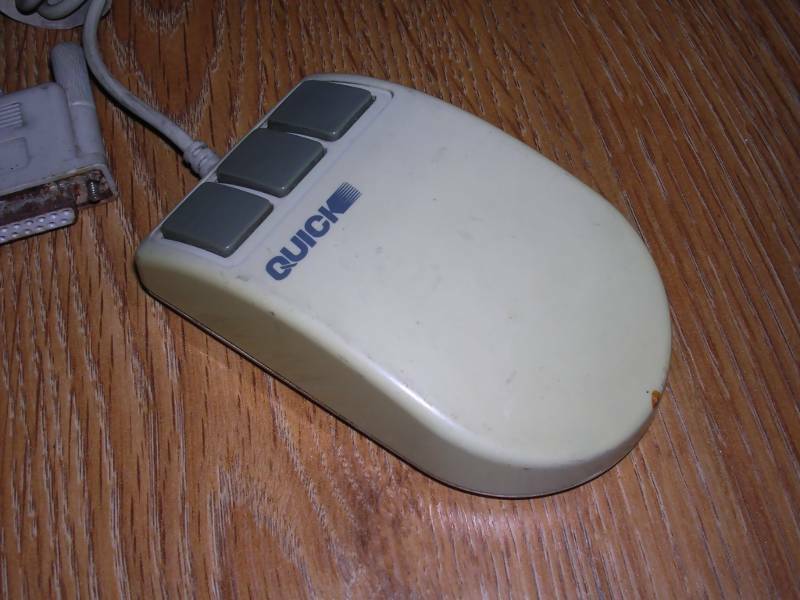 If clicking large buttons and browsing documents are the main activities, trackball outperforms most mice and uses less space. 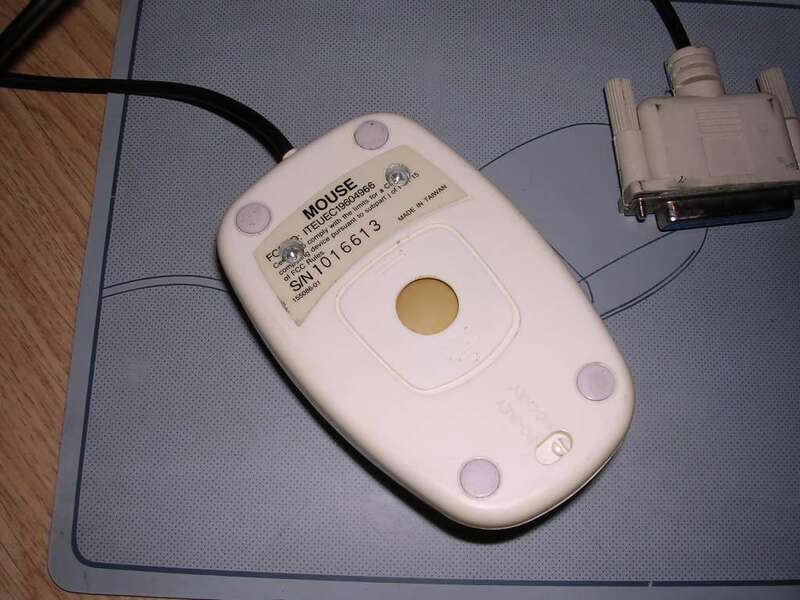 If you need to cut pictures of background, better look for a good mouse. 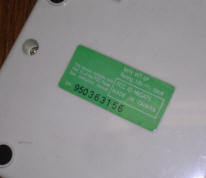 Manufactured by: Tremon Enterprises ? 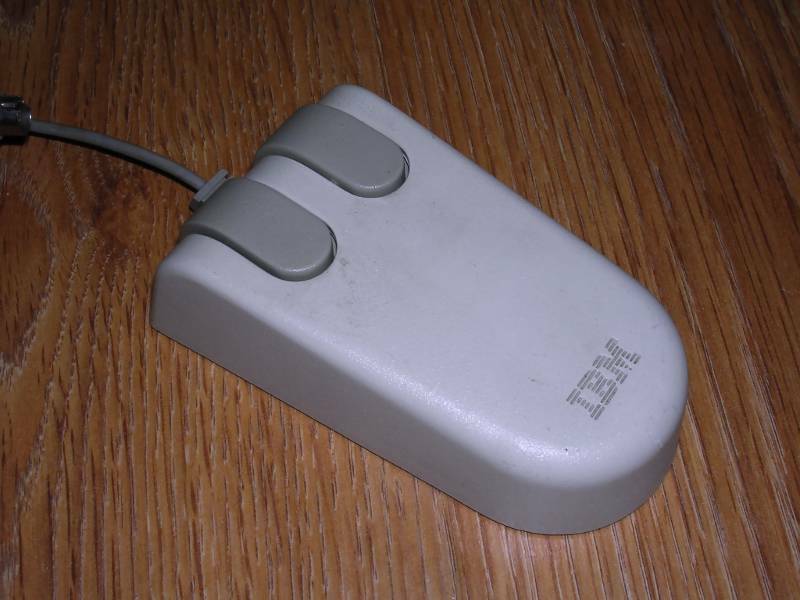 Information: This mouse was very popular and cheap in mid-90s. It is a Taiwanese unit, very simple one. 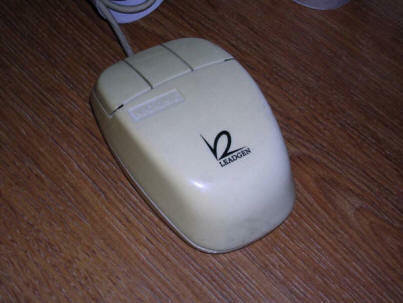 It was chosen as simple mouse for starting with PCs. 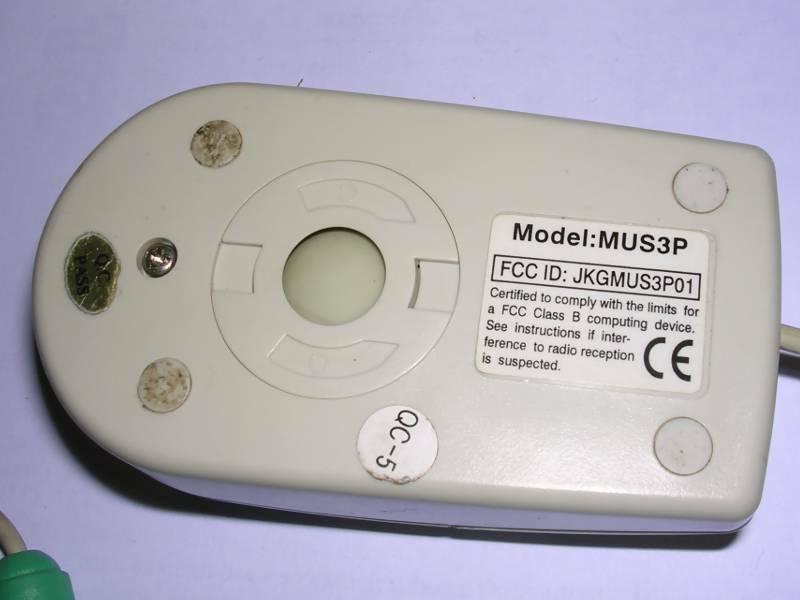 Information: A bit newer equivalent of MUS2S mouse. As cheap as previous one. 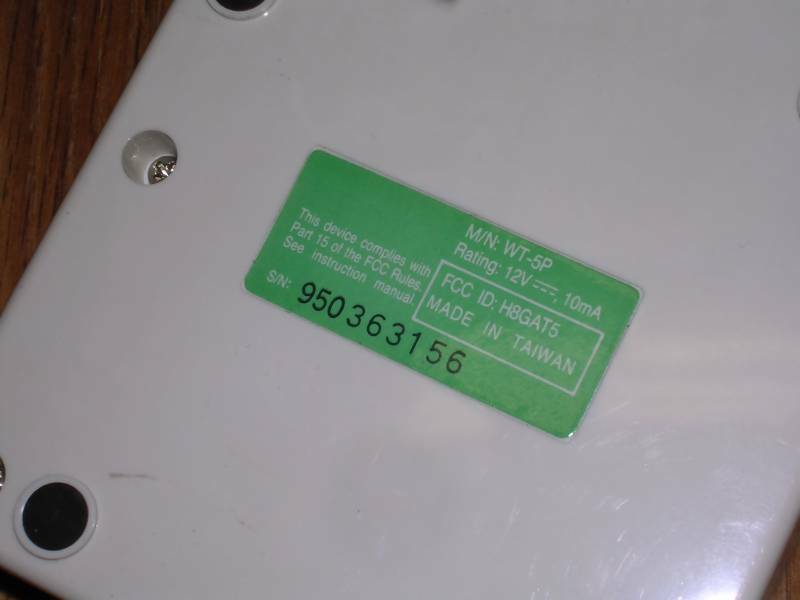 Inside you can see the chip with fake manufacturing date, probably clone, and although there is a connector marked on silkscreen, wires are just soldered into PCB. Ball is kept in one position by shafts and one wheel, on the upper side there is just a plastic limiter. 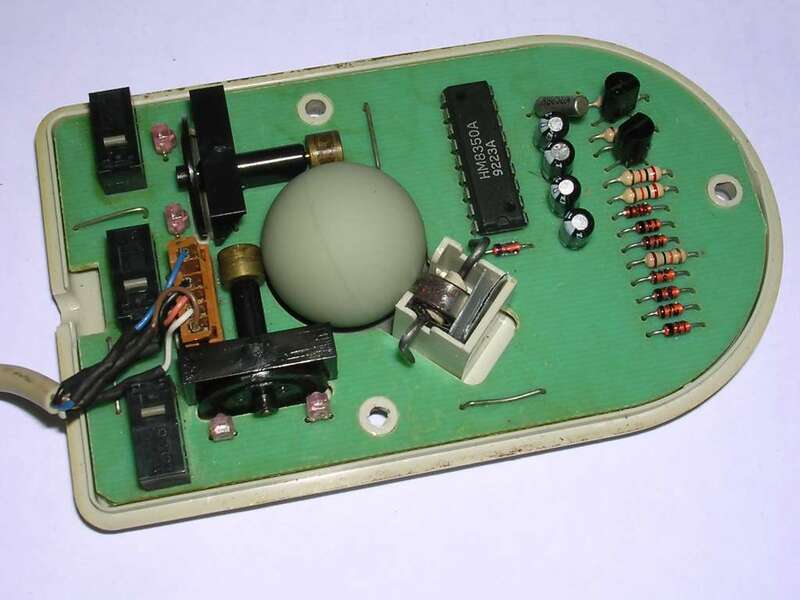 This model has 2 buttons and in PCB there is place for 3rd. 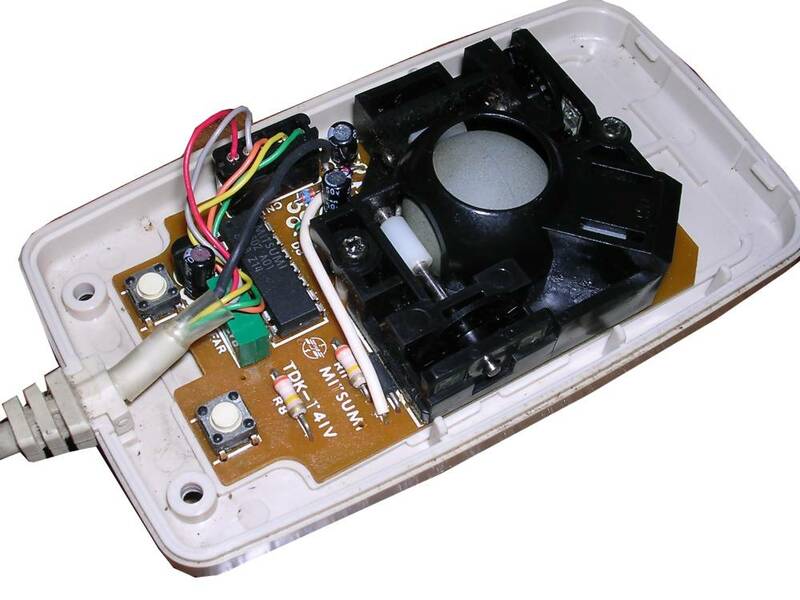 Optical transceivers are just mounted on PCB, this is standard in all modern mice but these times was only in cheap ones as there is a bigger risk of dust contamination. 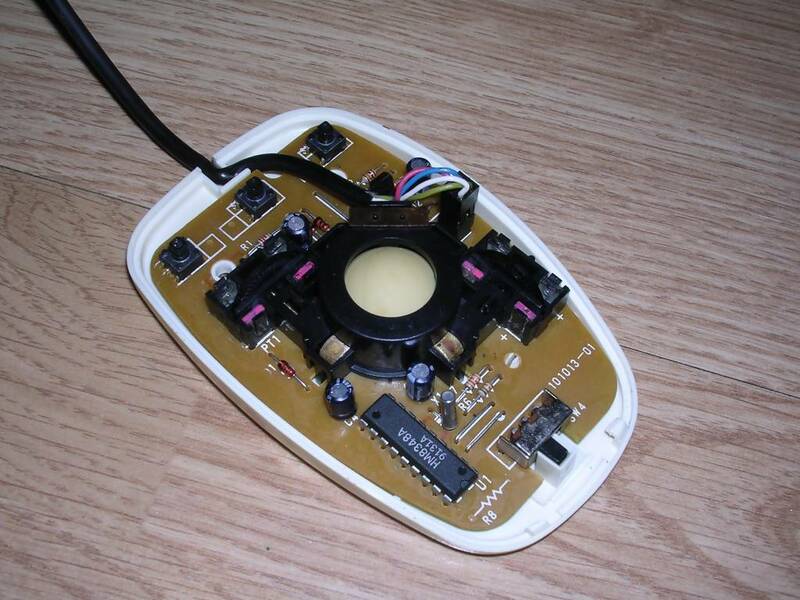 I got this mouse with broken wire in cable, so I replaced the cable. What is interesting it still works and the soldering on PCB is surprisingly good in quality.